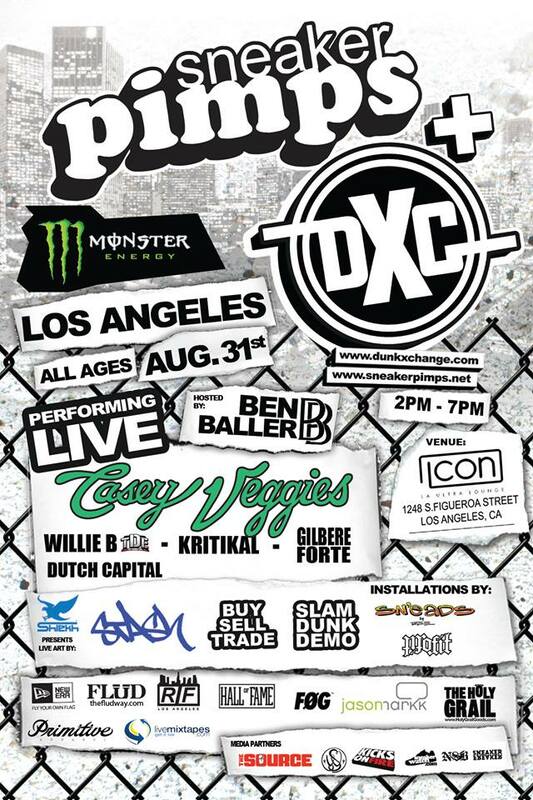 Sneaker Pimps is back in LA this Saturday, August 31st with a live performance by Casey Veggies and more! Sneaker Pimps is the world’s largest sneaker exhibition and street based art show. Having toured the world for over 11 years and producing more than 300 shows in 63 cities globally, Sneaker Pimps returns to LA this time with DXC, the premier buy-sell-trade sneaker event. Sneaker Pimps and DXC are teaming up to create a unique event series that combines the best of both of their programs, encompassing music performances, live art installations, a slam dunk demo and sneaker/streetwear trading area.